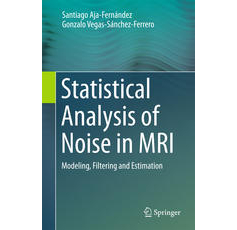 Cordero-Grande, L., S. Merino-Caviedes, S. Aja-Fernández, and C. Alberola-Lopez, "Groupwise elastic registration by a new sparsity-promoting metric: application to the alignment of cardiac magnetic resonance perfusion images", Pattern Analysis and Machine Intelligence, IEEE Transactions on, vol. 35, no. 11: IEEE, pp. 2638–2650, 2013. Cordero-Grande, L., S. Merino-Caviedes, X. Alba, RM. Figueras i Ventura, A. F. Frangi, and C. Alberola-Lopez, "3D fusion of cine and late-enhanced cardiac magnetic resonance images", Biomedical Imaging (ISBI), 2012 9th IEEE International Symposium on: IEEE, pp. 286–289, 2012. Merino-Caviedes, S., L. Cordero-Grande, T. M Pérez, and M. Martin-Fernandez, "Transmurality Maps in Late Enhancement Cardiac Magnetic Resonance Imaging by a New Radial Fast Marching Method", XXIX Congreso Anual de la Sociedad Española de Ingeniería Biomédica, Cáceres, Spain, pp. 211–214, 2011. Merino-Caviedes, S., and M. Martin-Fernandez, "User Interfaces to Interact with Tensor Fields", Tensors in Image Processing and Computer Vision: Springer London, pp. 429–454, 2009. Merino-Caviedes, S., and M. Martin-Fernandez, "A general interpolation method for symmetric second-rank tensors in two dimensions", Biomedical Imaging: From Nano to Macro, 2008. ISBI 2008. 5th IEEE International Symposium on: IEEE, pp. 931–934, 2008.